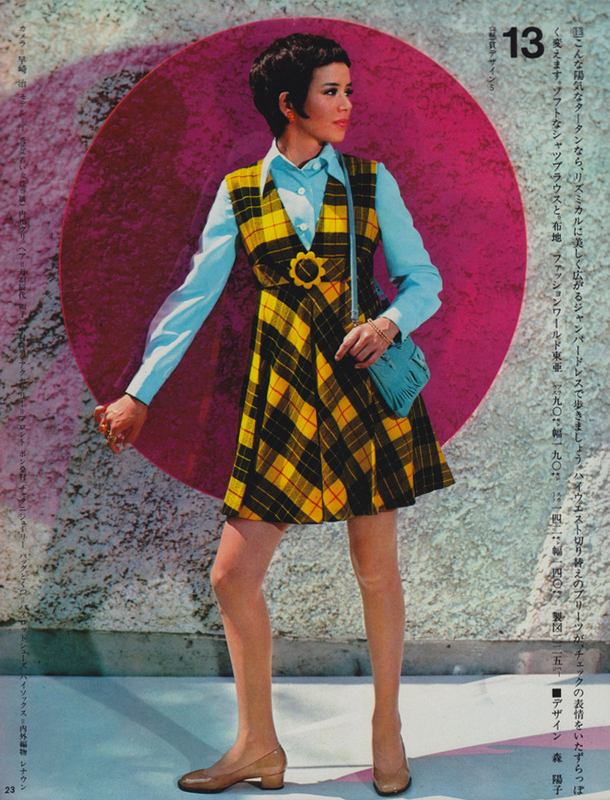 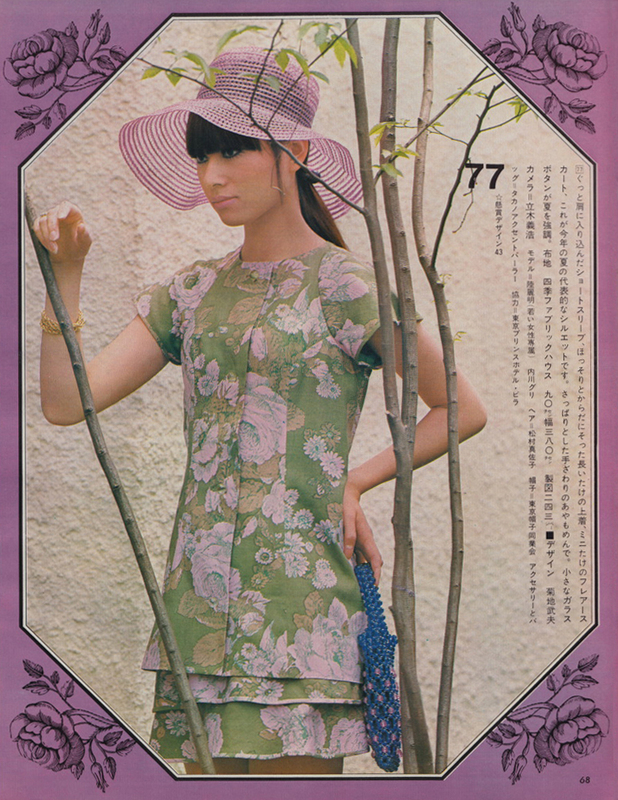 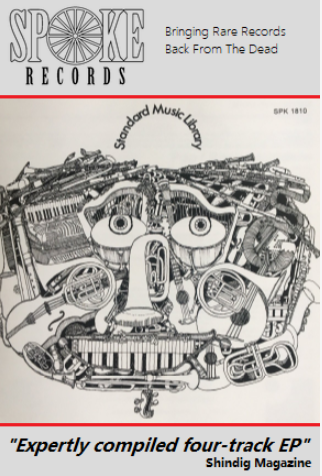 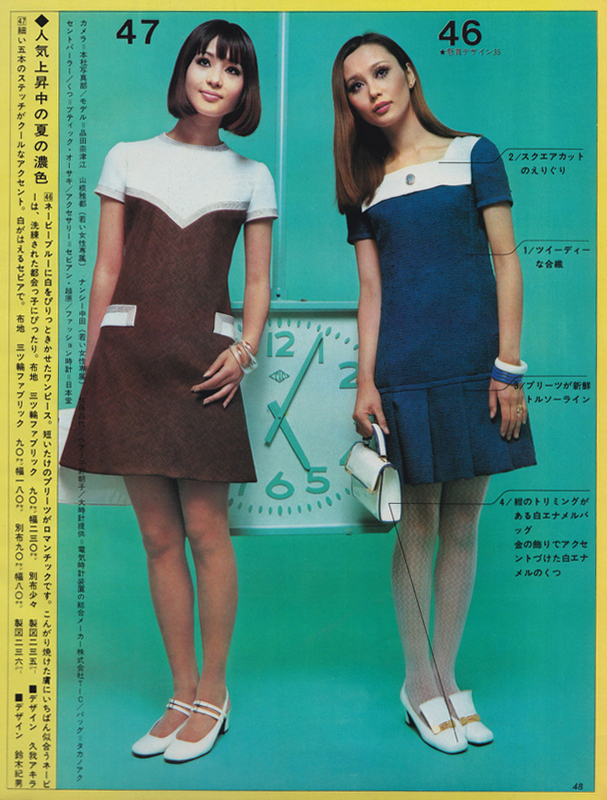 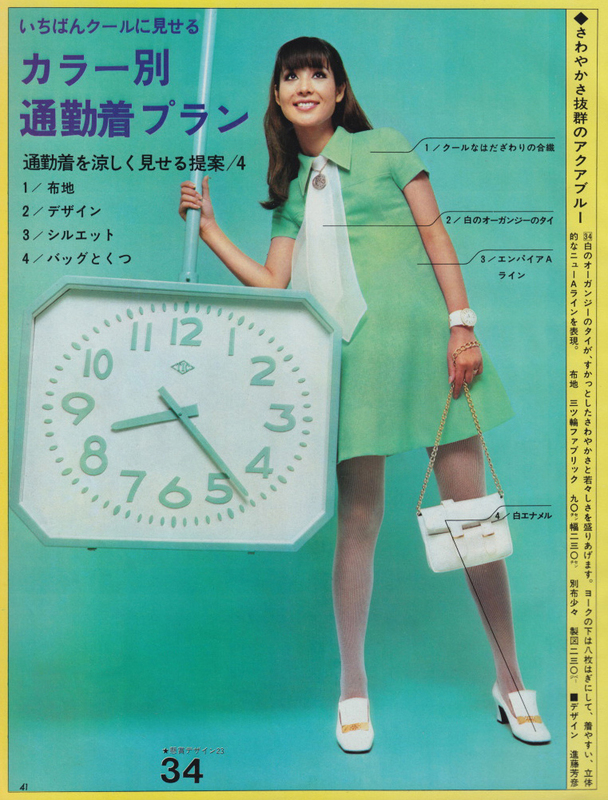 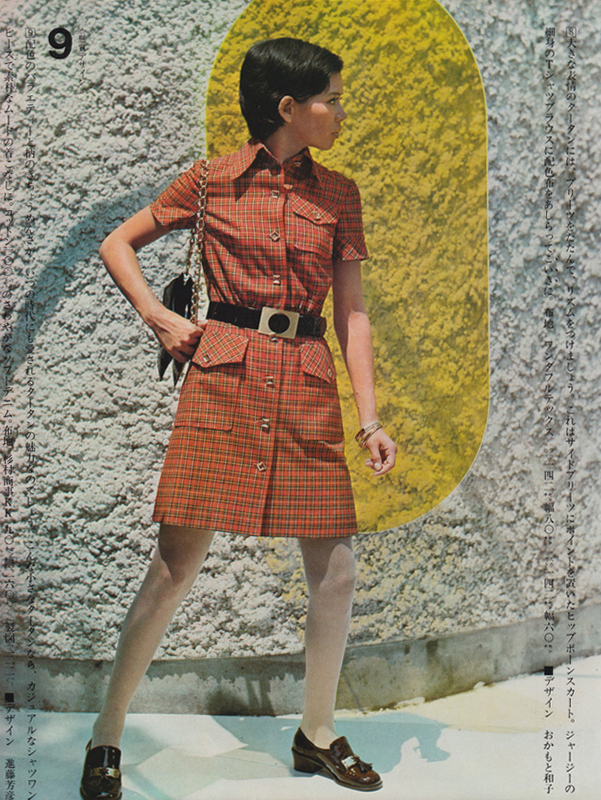 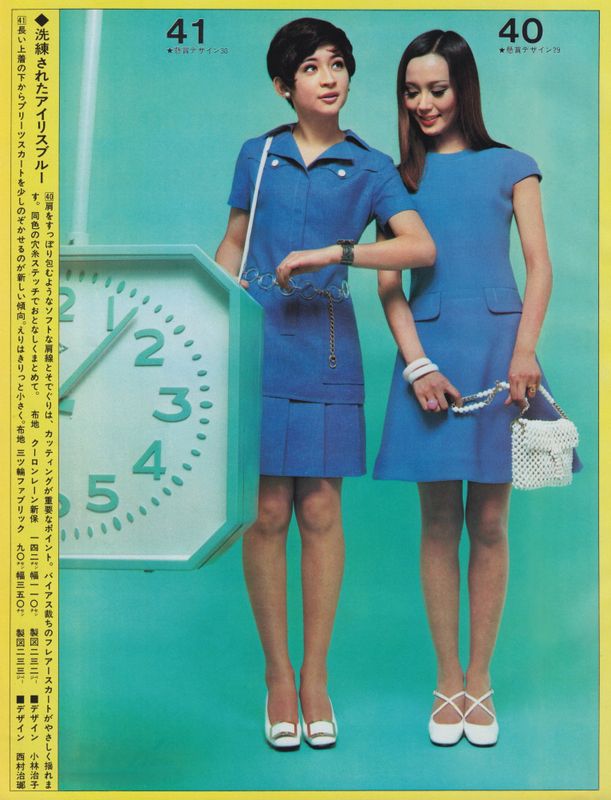 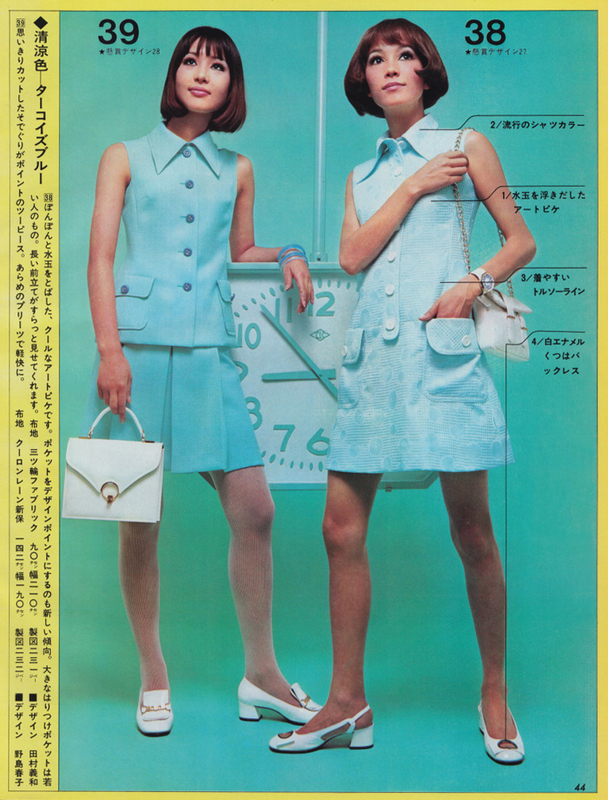 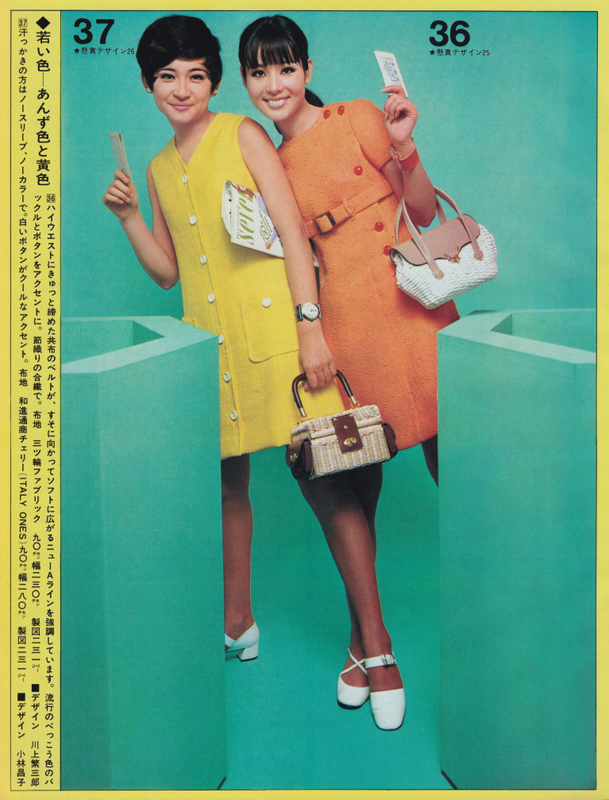 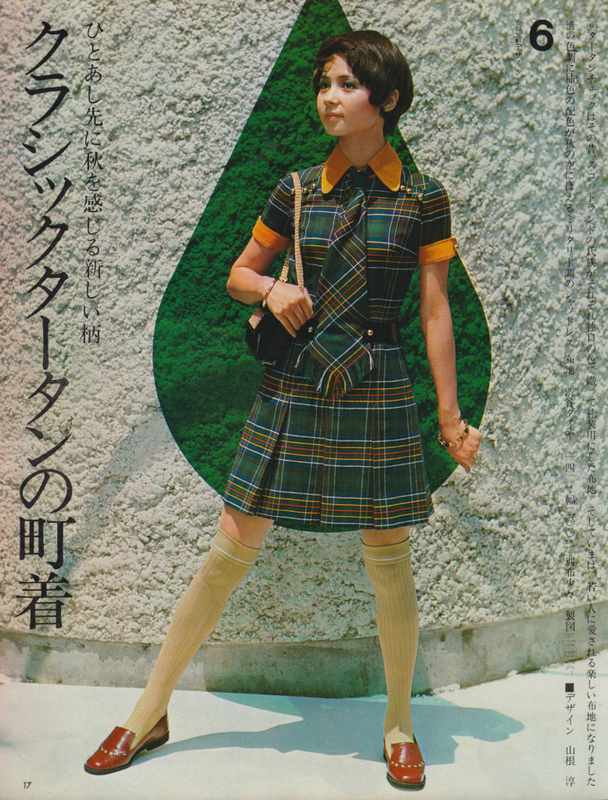 Now we head East, bypass Lowestoft and jet over to the land of the rising sun to check out some great images from this groovy 1969 Japanese fashion magazine – Young Woman. 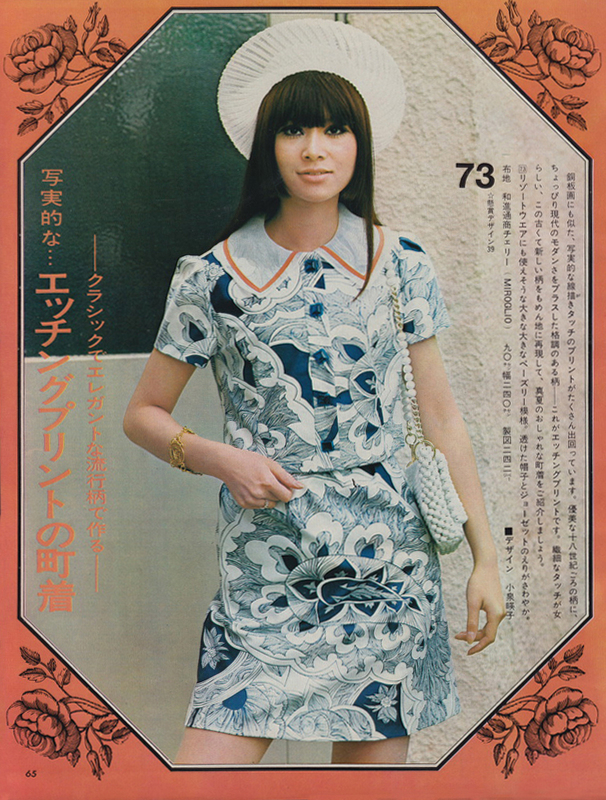 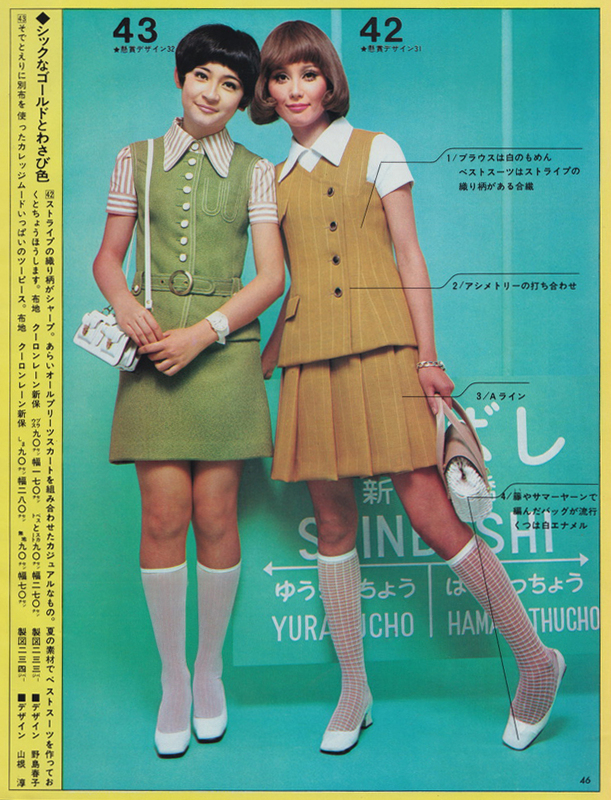 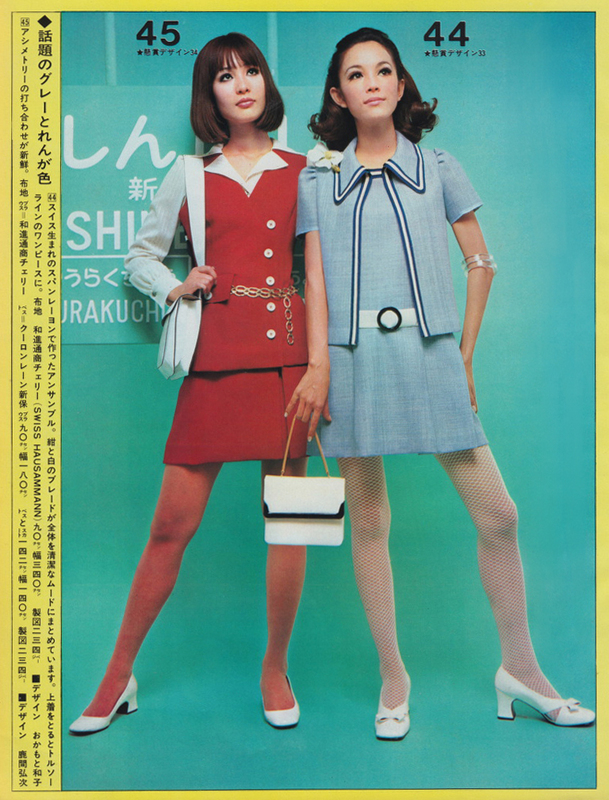 Whilst we’re by no means experts on Far-East female fashion fads from decades gone by there does seem to be a distinctly Japanese twist to these clothes and perhaps a slight lag behind the US and Europe who by ’69 were embracing the whole hippy-chic thing with a vengeance. 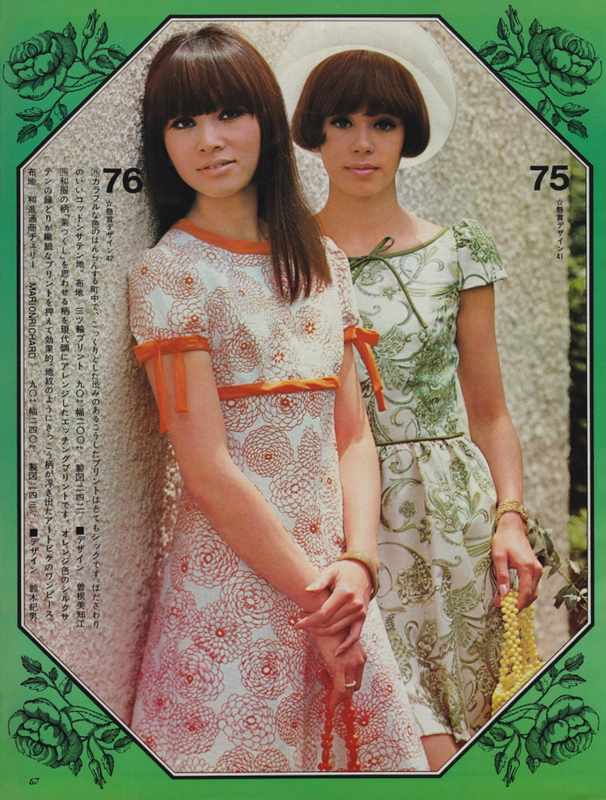 These almost seem to have some hippy-esque flowery elements but still focus very much on the whole Sixties A-line cut. 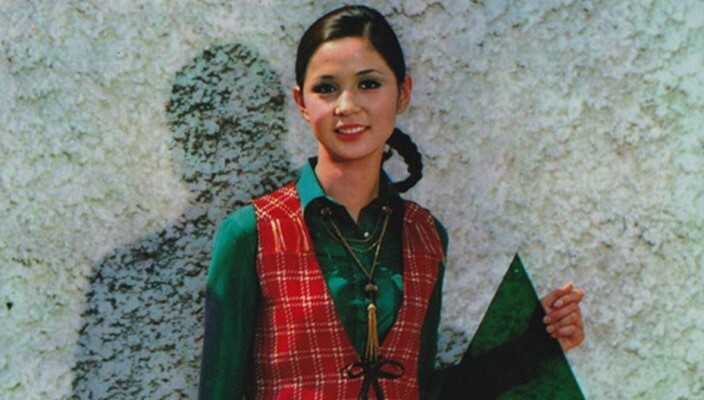 A distinct mixture of west meeting east perhaps. 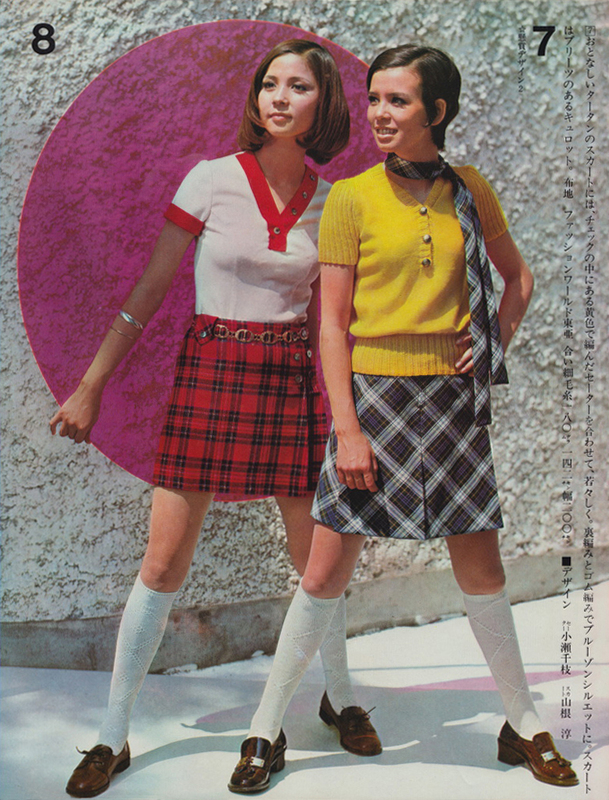 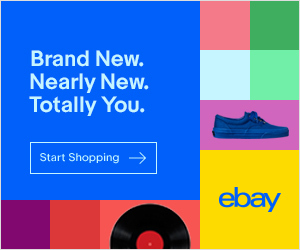 But, hey, enough of our bad fashion analysis. 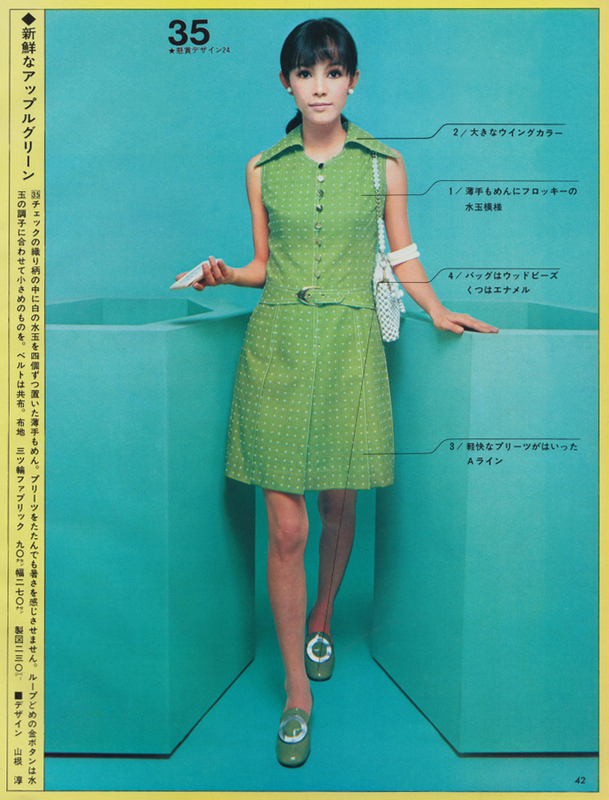 Check out the images below and you’ll know exactly what we’re trying to say.